Light spectrum dispersion effect in Blender? This effect is especially useful to have when modeling gemstones, since the 'sparkle' of colors produced by this effect adds a lot of realism to the model. 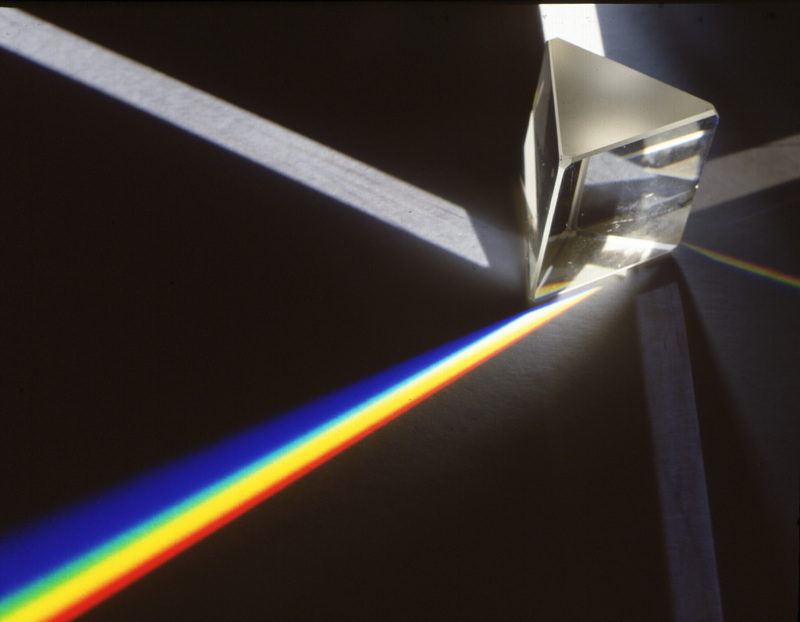 It does not seem possible to get Cycles to produce this effect, since Cycles handles each ray of light as only a single, one-colored ray. Is there any way to coax Cycles (or any other render engine) into treating light as a full spectrum? Is this kind of treatment of light even possible in Blender? Yafaray is another open source render engine with blender integration that supports both biased and unbiased techniques, and also seems to handle this well. 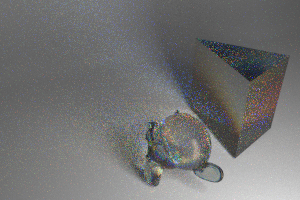 For dispersion, support for bidirectional path tracing needs to be added. This is currently considered a low priority. There has been a community effort to get an additional developer to implement it. Not the answer you're looking for? Browse other questions tagged rendering light or ask your own question. How to create and animate the water reflection (Caustics) on an object? How can I make lens and prism simulations in Blender Game Engine for optics experiments? 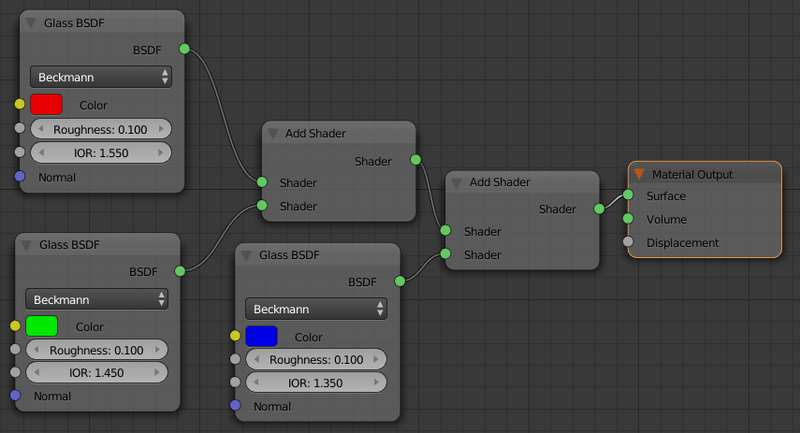 What is the most physically correct glass shader? Can I use BSDF for the emission pattern of a lamp or light source? Is it possible to change the IOR inside a volume? Can blender be used for simple optical modeling? How to achieve a stylized burning (Wireframe) effect? How can I achieve an “blinded by light” effect? How to hide light object keeping the Light effect?